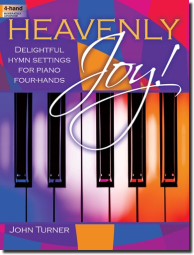 John Turner created a four-hand duet book that sparkles with immense joy and spirit. Inspired in part by big-band music, the collection has one player serve as the rhythm section while the other portrays the brass and woodwind sections. These gospel song arrangements will lift the spirits of everyone listening.